SMARTFAN proposes the development of “smart” material and product architectures, with integrated functionalities, that will interact with their environment and react to stimuli by employing biomimetic, selfsensing, actuating and damage-repairing technologies. FiBreMoD aim to train 13 such researchers to become multi-talented and interdisciplinary researchers that will be highly coveted in the field of composites. They will be intensively trained by leading experts with worldclass facilities and will be supported by a strong industry participation and an extensive international network. MODCOMP aims to develop novel engineered fibre-based materials for technical, high value, high performance products for non-clothing applications at realistic cost, with improved functionality and safety. Demonstrators will be designed to fulfill scalability towards industrial needs and focus on TRL5/TRL6. End users from a wide range of industrial sectors (transport, construction, leisure and electronics) will adapt the knowledge gained from the project and test the innovative high added value demonstrators. 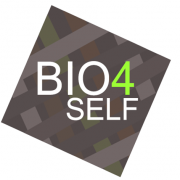 BIO4SELF aims at fully biobased selfreinforced polymer composites (SRPC). To produce the SRPCs two polylactic acid (PLA) grades are required: a low melting temperature (Tm) one to form the matrix and an ultra high stiffness and high Tm one to form the reinforcing fibres. To reach unprecedented stiffness in the reinforcing PLA fibres, we will combine PLA with bio-LCP (liquid crystalline polymer) for nanofibril formation. D-NEON is a 4 year Innovation Action of the H2020 work programme funded by the European Commission under the NMP-22 2015 call topic “Fiber-based materials for non-clothing applications”. The vision of the 1D-NEON project is to create outstanding added value for the textile manufacturing industry. This will be accomplished by developing fibre-based smart materials along with an integrated technology platform for the manufacturing in Europe of new products enabling applications in sensing, lighting, energy and electronics. Biobased cost-efficient carbon fibres would enable an increased replacement of steel with carbon fibre composites in cars. This would in turn decrease the weight and fuel/electricity consumption of the car fleet. The vision of the GreenLight project is to use lignin, a wood component that is a large by-product from pulp mills, as raw material for such green and cost efficient carbon fibres.